Ben Krahe spent many years framing markets as a bookie and backing his judgement against some of the big players. In recent times he has made his living as a professional punter focusing on harness racing. So he’s in a great position to share his insights into how to frame a market and rate every runner in the race. David Duffield: All right Ben, how are you going? Ben Krahe: Good thanks Dave, yourself? David Duffield: Yeah, going really well, thanks. I just wanted to get you back on the podcast to talk about framing your market and percentages. I had a few questions along those lines recently so if you’re talking to a novice punter or more of a weekend punter, how do you even explain market percentages? Ben Krahe: That’s a good question. To put it in layman’s terms, if a bookmaker is betting 120%, in theory the bookmaker should win 20%. I mean, that’s in theory and all things being equal and that’s if they lay the same amount of money to lose a certain amount on every horse, then the bookmaker will in theory make 20%. This never happens because a bookmaker will never lay every horse for the same amount of money but in theory, that’s the basis behind it. David Duffield: All right so when they talk about a 100% market, in theory you can back every runner and come out square. 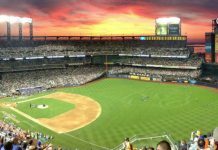 David Duffield: So 120%, the market’s framed in favor of the bookmaker. What about, as an analyst or putting together a market where you’re trying to find overlays, what percentage are you framing your market to? Ben Krahe: I always do a market to 120 or 130% originally. It’s just because, being an ex-bookmaker it’s just the way I was brought to do it and that way the other bookmakers usually go up about the same. What I do then is I convert it to a 100% market and that way anything that we get which is over the odds, we theoretically should be making money. As long as, of course, I’ve rated it correctly. David Duffield: All right, is it just the bookmaking background or how have you found that to be a better system to do 120% and then bring it back to 100 as opposed to just starting there? Ben Krahe: The way I do it is, I’ve also developed a spreadsheet which sort of changes things. If you just do a straight 100% market, I’ll give you an example. I might mark something 100 to 1 but when I put it through my spreadsheet it might spit it out at 500 or 600 to 1, which is probably it’s real chance in a 100% market. If you’re just going to frame a straight 100% market, are you really going to mark something for 600 to 1? I’m not too sure that you will so I like to do it at the 120, 130%. I whack it through my spreadsheet, which has got a couple little secrets in it involving the long-shot favorite bias as we’ve discussed on this program many times. It’s not a straight conversion 100% but what it does is, it stretches the long-shots out a little bit more and it brings the favorites in a little bit more. David Duffield: On the punting side, did you have a look at framing 90% or 95% or is it more, always do it at 100% and then just back all the overlays? Ben Krahe: Look, there’s a few ways to do it. I’ve got a couple of friends who are professional punters that frame markets 80% and that way they have a lot less bets. It’s just whatever suits you and the way that we’re doing it at the moment, I’m happy just to, I like to have a bit of a play every race. This way we have a bet in every race. If you’re doing 80%, you’re probably only going to have 2 or 3 bets a day. If that’s the way you want to go, that’s well and good but for the purpose of I suppose a little bit of entertainment as well, this way we get a little play in every race. At the moment we’re making 15% on the first 2 months. If we can continue to do that and be able to have a bet in pretty much every race I think we’re going to make some money and have a bit of fun doing it at the same time. David Duffield: Yeah, 15% is an excellent result. When you talk about betting into every race, just in case people missed the earlier podcast, you’re really specialized though, in terms of what is it, 3 meetings a week and a very restricted number of tracks that you focus on? Ben Krahe: That’s correct. I only bet in the city area of New South Wales so that’s predominantly Menangle. Then we’ll go to Newcastle and Tamworth where the pool of horses, there’s only a certain amount of horses there and they run around against each other every week. It’s pretty much like Hong Kong racing, where there might only be 200 horses in that area and they just run against each other all the time. If we concentrate on the one area, the form lines are going to stack up. I do some work also for Victoria trots but it’s a lot harder to price because there’s probably 20 tracks in Victoria and they can come from everywhere. They could never race against each other again. Whereas, where we do them on a Tuesday and Saturday at Menangle, they’re racing against each other all the time and then we go to Newcastle and the Tamworth area where the same horses run against each other. That way, we’re not worrying about anything out in the Western Districts, out Bathurst way. We’re not worrying about anything down in the Riverina. We’re just sticking to the same pool of horses 3 times a week and we can have some fun and make some money. David Duffield: Sounds like a good plan. That’s the market percentage side of things but how do you even turn the form or raw data, into rated prices? What’s the process that you go through when doing that? Ben Krahe: This is something that takes a lot of practice. I mean, I can pretty much do a race in 10 minutes and do it pretty accurately if not even quicker now. It helps to know the horses inside out and that’s why we do stick to those tracks. I’m sure the clients we have now will, even if they were trot people, they’ll be hearing these same names and watching them and now even getting an idea of their form these days so knowing the horse inside out is the first thing. The 2 main things I really look for are speed maps and I also look to see what price they were and whether they were backed in the market last start in a similar type class. First of all I’ll do a quick speed map and look for what horses are going to be in the top 3 because it’s 80% or something of the top 3 horses will win every race. It’s as simple as that. It doesn’t matter what track you’re running on, if you’re running around the old Sydney Showgrounds or you’re running at Menangle. Most of the time the winner will come from the top 3 horses. They’re the ones I want to look at. Secondly, I’ll go through the field and I’ll pull out what I think are genuine winning chances and I’ll pull out what I think are absolute no chances. The ones in between, we’ll worry about them later but what I want to do is try and pinpoint which horse is the favorite or the top 2 or 3 chances and I want to pinpoint the ones that have got absolutely no chance whatsoever. David Duffield: With 120% to distribute amongst the field, are you thinking in terms of percentage chance as far as allocating 30%? Ben Krahe: Correct. Yeah, exactly. Like if you think, let’s just use some names that we know, if you think Smoken Up’s running on the weekend and you think it’s a deadset 50% chance to win the race. In theory, if you’re firming the market at 120%, you’ve got to make it whatever 60% is. If you know what I mean so you want to have … That’s the way it works. You’ve got to judge on how much percent you think that horse has a chance of winning. Basically, without sort of getting too involved in it, what I will do is I’ll go back to its last start and if this horse was even money against the same horses, it won the race, it’s got a similar barrier. There was no bad luck stories behind it, it was just a normal race. It was even money and it won the race and it’s got a similar barrier again. This week, I imagine it’s probably going to be $1.60, $1.70 without even reading too much into it. Then similar with a long-shot. If it was 50 to 1 in the same race and it drew barrier 2 and it’s got barrier 2 again this week against the same horses and it ran 8th, I’m probably going to make it 100 to 1 this week or even 200 to 1, if you know what I mean. I’m sort of hoping that the form sort of stacks up and I will go on whatever happened last week with its price in a similar class and I will adjust accordingly. David Duffield: Okay and then what part does your own judgment or your own experience play in it? 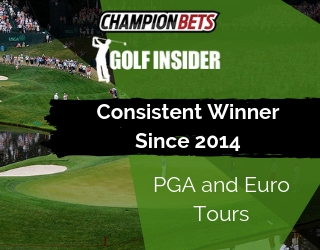 Because some people are quite reliant on what the data is telling them but with your approach it sounds like it’s a lot more just the years experience you’ve got punting and bookmaking. Ben Krahe: It is and that’s something that’s probably 10 or 20% is just, I know it’s a stupid thing to say, it’s probably just feel if you know what I mean. You can just have a feel about a race. You might know that a good driver’s on for a bad driver and you’ve got to factor something into the price for that or the barriers are switched this time or the pace was run wrong, slow last time or the pace was fast last time or this horse has come from winning at Penrith which is a small track, to Menangle. These are sort of things you’ve just got to factor in and judge whether or not to make this horse that was $3.00 last week, to make it $3.50 this week or to make it $2.50 or vice versa. I place a lot of credence on what price the horse was last week but I also decide on whether that was the right price last week, if you know what I mean. If something went around at $2.00 last week, should it have been $2.00 last week? Yes or no. Then I’ll judge what it should be this week, pretty much going on what it did last week and what price it was. I also like to, I think where there’s smoke there’s fire. If something was 5 to 1 in the even money last week and it only ran third, there was probably a reason they backed it so I will take that into account when I price it this week. David Duffield: All right so you do your market to 120%, you then use the spreadsheet to bring that back to 100%. David Duffield: Then, I was going to say how do you decide which races to get involved in but your approach is different. Once you’ve done that work, you’re happy to bet into every race and back every overlay. Ben Krahe: Look, if I’ve priced the race, for me there’s a price for every runner and there is a price for every runner. If you’re confident enough to price the race why should you not bet in it? It doesn’t matter if it’s a 2 year-old trot or it’s the Inter Dominion. For mine, if you have bothered to take the time to price a race and you’ve given every horse a price, then you’ve got to be confident enough that those prices are right. It doesn’t really matter who’s running or what type of race it is. David Duffield: You’ll take 1 cent over your rated price but you won’t take 1 cent under. Ben Krahe: Correct because it’s a 100% market we’re doing so would you take $1.99 about a coin flip? Even if 8 heads had just come up and you reckon tails is about to come up, would you take $1.99 about it? David Duffield: What about the perspective of punting versus bookmaking. When you’re framing your markets, is it a different process or a different way of thinking from what you were doing in the bookmaking world? 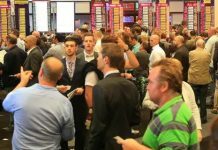 Being the first to go up on a number of events to what you do now as pretty much a standalone punter? Ben Krahe: It’s 100% different, bookmaking and punting. 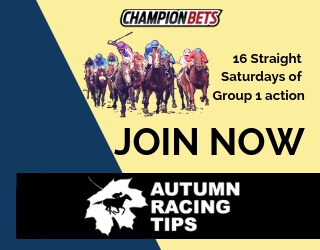 Not that there’s actually much bookmaking done now these days anyway but in a real world, if something’s $1.10, even if you think it’s over the line, you still want to be laying that because that’s your best chance of making money but you still need to lay it at the right price. As far as the bookmaking perspective goes, if you think something’s an even money chance, well you’ll put up even money. Then you’ll get a nibble and you’ll go $1.09 and you’ll get a nibble and you’ll go $1.08 and you want to average that price down as far as possible. If I’m punting, I’m a very aggressive marker when I punt so like I said, if I think something’s a 100 or 200 to 1 chance when I put it through my spreadsheet, I’m not going to back it until it’s … I probably wouldn’t back it because you’re not going to get 1000 to 1 but as a bookmaker, do you really want to be laying 50 to 100 to 1 shot? Because there’s just no upside for you. If someone had $10.00 on a 100 to 1 shot, do you really need the $10.00 that much that you’re willing to give away $1000? For me, I always didn’t want to lay long-shots too much because the up-side is just not there for you. 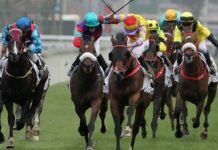 David Duffield: You mentioned earlier that even at a 120% market, the bookies never get their dream of laying all runners and just claiming their over-round. 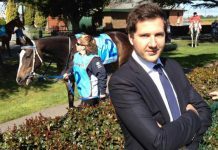 Ben Krahe: Look, it can be the Melbourne Cup where everyone in the world’s betting and they might have 3 or 4 horses that they’ve actually probably really laid you know, the days of real bookmaking are gone. It’s more of a trading thing now and that’s why you’ll find that nearly every bookmaker’s banning a lot of people because all they do is play heads. If anyone’s smart they’ll get rid of you and this way it doesn’t really matter if they lose $10,000 on one race because they know that the punter’s going to give it straight back. That’s more trading now, there’s hardly any bookmaking goes on whatsoever. David Duffield: Yep. What about market intelligence? I think some of the bigger players in the horse racing field have come up with their own rated prices but they will factor in what the market’s telling them. You’re happy just to back your own judgment and ignore the market’s not the right way because you’re backing your overlays but there’s no component of what you do … The currently available odds don’t play any part in that. Ben Krahe: No, look, you have to back your prices. If I’ve marked something $5.00 and it comes up even money, I’ve got to hope that I’ve got it right and that there’s a reason why. With the way that the bookmaking [quorum 14:09] is at the moment, we will probably get that stuff right more than wrong, because inevitably you’ll find the TAB might be the one going up even money and it’s basically, every one will copy them. They might go $2.10 or they might go $1.90 but they’ll pretty much copy their prices so what you’ll find is you’re actually just playing one-on-one. It’s one person’s opinion at the TAB versus my opinion and if we get it right and they get it wrong, we’re going to come up with some good spoils. It’s not like the old days where everyone was doing form. You’d go to the track and there’d be 30 bookmakers and they’re all doing form and 1 guy might be even money, the next guy might be $3.00 and whatever else. Now the TAB will go up and everyone will just follow 5 cents either side so if the first person who was doing the prices has got it wrong, if we can expose that, that’s where we’re going to make money. David Duffield: It can be in the trots world, probably more so than Metro Races, it can be quite a bit of volatility in the prices. Ben Krahe: It’s nothing like the races. The races are, if something is $7.00 into $5.00 on a Saturday at Flemington that’s a big go. The TAB has no problem with going $6.00 to $1.50 for the trots, it just happens. Basically that’s just the way it is and that’s because there is no one doing form anymore. That’s the simple reason. There’s one person doing form and like myself, if I stuff it up we’re going to get it wrong and if I was bookmaking stuff it up and I’m the only person in the world putting a price up, of course you’re going to get it wrong half the time and the TAB are going to get it wrong half the time too. Hopefully that’s when we find the ones that they get wrong. We’ll get some wrong as well but if we find the ones they get wrong and really punish them for it, that’s where we make money. What we want to do is eliminate those horses that have got no chance. The TAB will put up… There was a prime example yesterday. It was a 6 horse race, the TAB put up 25 to 1 about a horse that I marked 300 to 1 before I even put it through my spreadsheet. For mine it had no chance of winning. They could have ran that race 300 times and it might have won a race. Now the TAB’s gone up 25 to 1, they’re saying it’s going to win 4 races in 100. There was no chance it was going to happen. If we can find 2 or 3 of those per race, that’ll add up to 10%. Now, that’s 10% error the TAB has made and if we’re going to make 10 to 15% every month, that’s where we’re going to make it. We’re going to find the ones that they haven’t priced right. David Duffield: Good stuff. We’ll leave it there for now. Hopefully that’s given guys a good insight into the market standards and also how you go about forming a market. Not saying that suits everyone but yeah, I think it’s been really insightful so I appreciate your time. 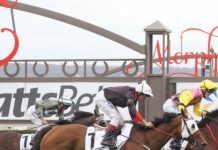 Ben Krahe: Look, it depends however you want to do it but I think the first thing you’ve got to do is, you’ve got to find what horses are up the front and you’ve got to find what horses are in the market and then you build your market around that. I always try and … You go though the race, you have a look what’s in the race, find out what you think’s going to be favorite. Work out a price from that and then you can adjust your prices around that. David Duffield: Makes perfect sense. All right Ben, appreciate your time, thanks very much. Ben Krahe: Thanks Dave, have a good day mate.